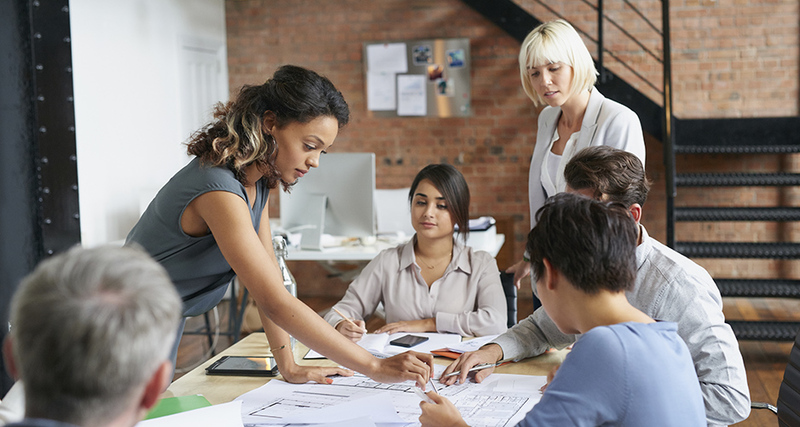 In lieu of celebrating March as National Women’s History Month, it is important to recognize the advances that women in history have made to achieve equality in the workplace and the challenges that working women continue to face. Eastridge Workforce Solutions is honored to support diversity in the workforce, filling nearly 75% of positions with women in 2015 alone. Read through the lens of three of our Eastridge women to learn what they see as the biggest challenges for women in the workplace and what advice they would give to women starting out in their careers. What are, from your perspective, the biggest challenges for women in the workplace? I think the biggest challenge for women is to be taken as seriously as our male counterparts. We need to dress and act more professionally than men. Women can give off an unfavorable first impression if they have messy hair, the wrong perfume, big jewelry, too much makeup, or show too much skin. Also, a weak handshake or even a too-strong handshake can be a major turnoff. In general, women tend to be shyer about asking for a raise or a higher starting salary and are rarely taught to be assertive. Women used to be regulated to clerical positions. It was unheard of for a male to be hired in as entry level to answer phones “because he’ll want advancement too quickly”. Now females, especially college graduates, consider a clerical position to be unchallenging as many are seeking something they perceive to be more interesting. The fear is more that if they start as a “clerical” position they will only advance in that direction. It is no different for a woman than it is for a man to advance their careers. If you go the extra mile, volunteer for committees, think outside the box, and are assertive when presenting ideas, you will be noticed. The ones who complain that they were passed over for promotions can rarely answer the question, “What have you done for your employer to help the company grow, improve, streamline or help other employees learn more?” You need to speak up to let management know what specific things you’ve done to add value to the company. Start by personal networking. Don’t be shy about letting everyone know you’re looking for a career and don’t be afraid to ask a successful person for mentorship. Don’t turn down a job you may perceive as not having growth as a small company can allow you to learn a wider variety of skills than a larger one. The main focus of your career should be to look forward to going into work every day. The ingredients to happiness are feelings appreciated, having positive coworkers, and a respectful supervisor—not just a salary. What is the best and worst decision you’ve ever made in your career? The best decision I made in my career was to take the risk to leave retail and work for a company that only offered draw against commission. No one in my family thought it was a good idea but in my seventh month with the company, I paid back my draw and had a commission check that was about 12x what my retail salary had been. The worst decision was when I joined an agency that I’d never heard of because they told me they needed me. The agency “they needed me” and they folded 10 months later. Who’s had the biggest influence in your professional career? My first real manager, Marilyn Kresofsky had the biggest influence in my professional career. She was brought in as the new manager after I’d been with my first company for 6 months and had been told to fire me because I was so far in draw. She told me later she found I was the only one really working and refused to let me go. The biggest challenge for women in the workplace is balancing family, community, work life, and personal time. It is especially difficult to find the balance between relationship-building and job performance to prevent a decrease in work productivity. Another challenge is being willing to take on more responsibilities. It important to stop being overly cautious when asked to take on large projects and fearing failure. Taking on more may mean more risks, but has unimagined rewards when the task, project, or work objective is demanding, energizing, and meaningful. Women will say “yes” to taking on more assignments and responsibilities when they should learn to say “no” when the request does not align with their job or personal goals. Saying “yes” is not always a career-enhancer. “Yes” because no one else steps up, as a favor, or out of misplaced dedication, requires more energy than the outcome of the task is worth. Women often wait to be invited to the next step in their career, rather than assertively stake a claim toward advancement. Drawing attention to one’s achievements by proactively driving for recognition (without being obnoxiously self-promoting) is a refined career skill. Seek and ask for a mentor early on. Don’t settle for a mentor who is just like you or even in the same field as you. Your mentor should be someone who are challenged by and rely on. Remove the “fear factor”. Learn that what is possible and even improbable is just a mind-set. It is important to run towards big tasks and new opportunities, no matter the challenges that come along with it. Make your work your mission and purpose so that the bad days are only part of the bigger picture. Don’t dwell on the obstacles that come ahead and refrain yourself from limiting your own potential. The worst decision I’ve ever made in my career was not to actively pursue an invitation to a potential executive position early in my career. I did not ask for information about how to proactively achieve this role and did not take the opportunity seriously. There are two people who have had a big influence in my professional career. The first is Bob Svet, Founder and CEO of Eastridge Workforce Solutions, who always proposed the stretch assignment and constantly challenged me by asking the most thought-provoking questions. The second is Louise Dygoski, my major professor in college, who had a strong belief in my potential before even I believed in myself. I think that work/life balance continues to be a struggle for myself, and for many other women. We all want to get an “A” in everything that we do, and it’s definitely hard to accept less than that sometimes. As a mother, I understand the struggle that many women go through on a regular basis. Juggling demanding jobs, children, family obligations, etc. can be extremely stressful. I think some women assume that life is about “either/or” choices. We have so many role models in the business world that highlight a woman’s ability to really have it all. My advice is to speak up and get your voice heard. So many women are passionate, engaged, and extremely intuitive. My best advice would be to work outside of your job description and leave your ego at the door. Companies value hard workers who will roll up their sleeves to get the job done. It’s also equally important to be a team player and to see the big picture. The best career decision I made was to take a small step back about 8 years ago. I was getting ready to have my second baby and I was offered the chance to be Seth Stein’s assistant. I learned so much more about our business from a much higher level and I know that it absolutely helped me grow as a leader. Those 3 or 4 years were invaluable to my overall growth at Eastridge. My worst decisions have all revolved around not acting quick enough. Whether it’s about staff changes or client changes, I have continued to learn that being strictly reactive is never a good plan. Seth Stein, President of Eastridge's Staffing Divisions, has definitely had the biggest influence in my career. Some people may know that I have been extremely fortunate to have worked directly for Seth for 13 of my 16 years at Eastridge. I know that no matter what, I will always get honest, candid feedback, and support from him. Sometimes the feedback is inspiring and sometimes it’s hard to hear, but at the end of the day I have no doubt that he has my own best interests, as well as the company’s best interests at heart. I would simply not be in the position I am today without him in my corner.